As we and others reported, Kirstjen Nielsen is leaving the Trump administration and she, along with others who have worked for the president, have been named on a blacklist pushed by fascists who don’t believe they should be allowed to work anywhere in the private sector. 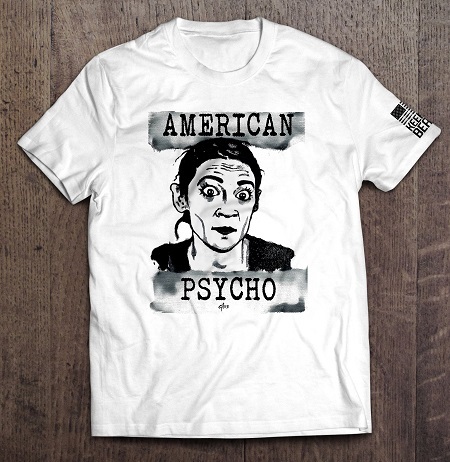 If that’s not enough, Alexandria Ocasio-Cortez, the newly-elected Democrat Socialist panned as a “pompous little twit,” has decided to spread lies and conspiracy theories about Neilsen, going so far as to accuse her of stealing children. So Neilsen has actually stolen children? Really? Where’s the proof for that insane assertion? The Democratic Party has overseen and applauded the murder of millions of unborn children. What should the punishment be for those who supported the most evil genocide since the Holocaust?